Transferred from Mayor's Office to City of Winnipeg Archives. 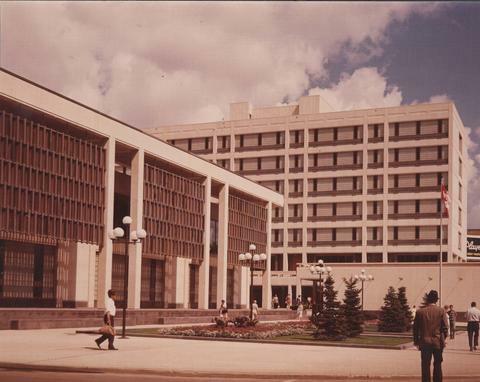 A photograph of the Civic Complex Centre, Winnipeg's third city hall (1964-present). Council Building and Administration building in view. Taken from corner of William Avenue and Main Street, looking northwest. Date of photograph is uncertain, [197-?]. There are no restrictions on access to these records.